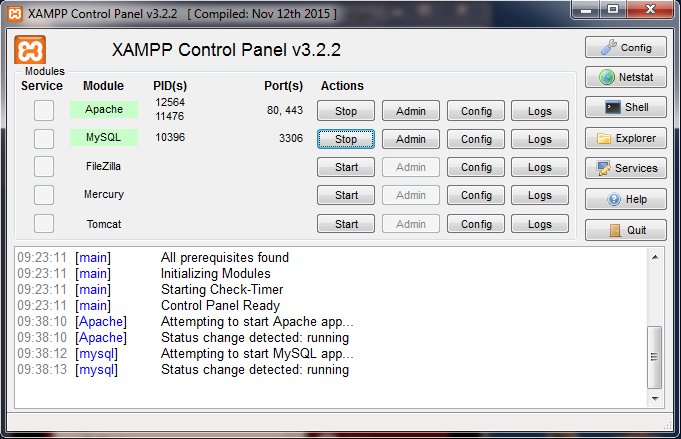 Once XAMPP is installed you need to start it just as you did when you tested it. You want the control panel. Once that is running you need to start the Apache server. You will also need the SQL server later if you do that tutorial. You should not need the other servers. The original version might have drive a drive letter but if your pages will be on the same drive as XAMPP you can leave the drive letter off (as shown). This saves trouble if you ever move everything to another drive (or the drive letter changes for other reasons). Note that the slashes are not backslashes. Other than that the location can be copied from the location at the top of your Explorer window in Windows. Now you can edit your HTML and PHP files, save them and the server will have the latest version immediately. Be very aware that Apache will serve all files in that folder so don't put anything confidential in there.